There are many factors to vinyl windows. And let’s face it, vinyl windows are not a small purchase. We want you to be prepared when you buy new windows, so we’ve done some work for you. This way you’ll be better educated… From farmhouse to modern, learn what grid options work best with certain home styles. 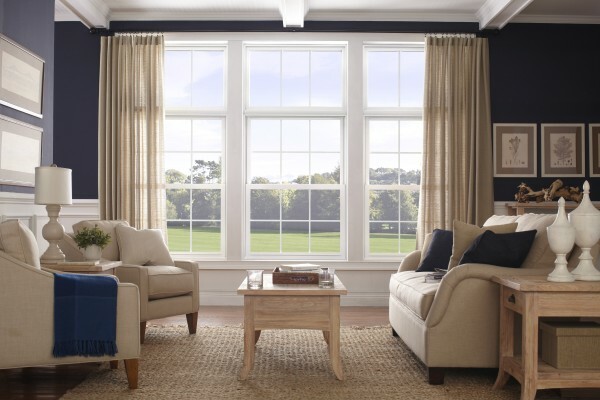 The style of your home will help you decide what type of grid pattern you want on your windows, and there are plenty to choose from in both ready-made windows and custom versions. ​Simonton has combined a variety of color choices and grids in an assortment of styles and patterns so you can find what you need to coordinate with the architecture and decor of your home. Available on select lines, Decorum® by Simonton is a portfolio of unique styling options that allows you to create a look that is distinctively yours. Click on link to find out about exact grid pattern selections. Awning windows – which can be pulled in or pushed out, are also perfect for ventilation, which can be especially helpful in a hot kitchen. Since hot air from the oven or stove typically rises, awning vinyl windows perform the best when placed close to the ceiling or above eye-level. Garden windows look like mini bay windows that jut out from your home. They’re typically found in kitchens because they offer lots of natural light and add more space. There are many different styles to choose from – we offer homeowners affordable vinyl window styles and grids that fit any budget. Both sash on double hung opens fully. This is the most popular style for vinyl window styles in Atlanta. Call today for more information on window styles.